Bologna has given the world two wonderful things: universities and bolognese sauce. But while its university model managed to roll itself out across the world relatively intact, spaghetti bolognaise got a little lost in translation. The meaty slop that for many of us was our first experience of "spag bol" is so far removed from the original that ordering spaghetti bolognese in Bologna will earn you nothing but blank stares from your waiter. Tagliatelle al ragu, as it's correctly known, is a pasta dish with a meat sauce, but that's where the resemblance ends. 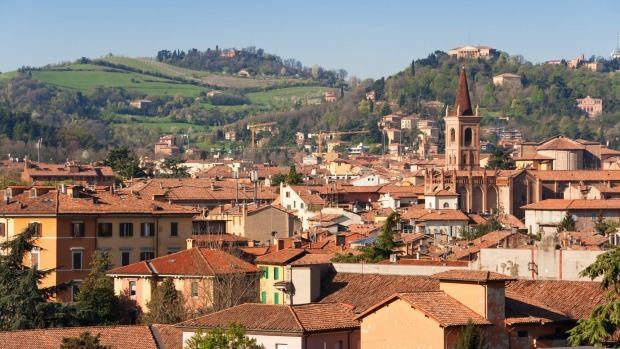 Bologna is the capital of the Emilia-Romagna region, in northern Italy. It's so well known for its food that it's referred to colloquially as La Grassa, which means "the fat one". Its pasta, in particular, is considered the finest in the country. It's the birthplace of tagliatelle, taglioni, tortellini, tortelli, lasagne and cappelletti – but not spaghetti, which is never used in Bologna's best-known dish. Just two ingredients are used to make pasta in Emilia-Romagna: eggs and flour. Other ingredients – such as salt, water or olive oil – are used only in the sauce. Tradition dictates that the pasta dough is rolled by hand, using a long, narrow hardwood rolling pin, although this technique is less popular with the younger generation, who prefer to save time by using a machine. Handmade pasta can absorb sauce very deeply, so only a little of the meat sauce is needed – just enough to coat and flavour the pasta, which, despite the efforts that have gone into making the sauce, remains the star of the dish. As for the ragu, the most important ingredient is time. The sauce, made always with mince beef (from a fattier cut such as chuck), onion, celery, carrots, tomatoes and white wine, and sometimes with pork or chicken livers, should be left to simmer, uncovered, for at least three or four hours. Longer is better. In the case of tagliatelle al ragu, the only appropriate garnish is freshly grated parmesan – another specialty of the region. The earliest documented version of tagliatelle al ragu is actually from Imola, a town just west of Bologna. But the role the city has played in popularising the dish legitimises its claim to its origins. Every ristorante, trattoria and osteria serves a version of this dish, and in true Italian fashion, the best bowls are widely debated. But after eating many, many servings all over the city, we're confident that this list reflects at least some of the best, if not all of them. The truth is, in Bologna it's hard to find a bad version. As the late, great Italian cook and food writer Marcella Hazan wrote, "There is no more perfect union in all gastronomy than the marriage of Bolognese ragu with Bolognese tagliatelle." The tagliatelle here is so fresh and thin it needs only eight seconds in the pot. The ragu, on the other hand, is cooked for eight hours. 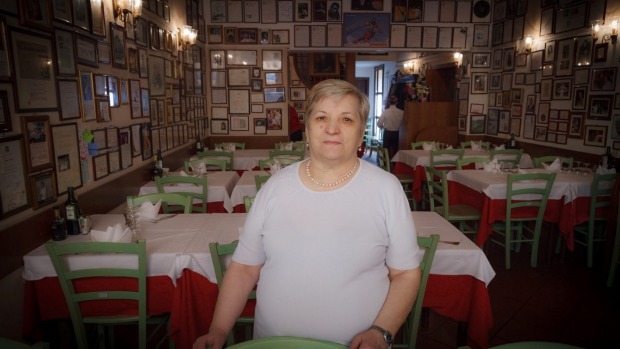 It's prepared by Anna Maria Monari herself, who has operated this trattoria since the '80s. Her recipe is traditional yet rustic – the vegetables in the ragu are roughly cut rather than uniformly diced – and the decor is kitsch, with the colours of the Italian flag reflected in the red and white tablecloths and green wooden chairs. Need further proof of its legitimacy? Look to the walls. They're covered in old photos, drawings and handwritten notes written praising her tagliatelle al ragu. Crossing the threshold into this "temple of Bolognese gastronomic tradition" (their tagline, not ours) is like entering a timewarp, probably because Diana opened in 1909. 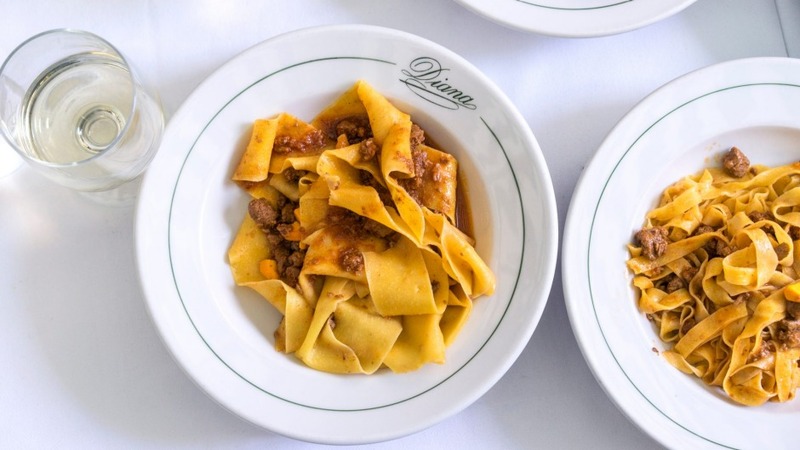 Yet while the white coats of its wait staff and the decor still speak of a past era, the tagliatelle al ragu here is timeless. The sauce is chunky and meaty, with a richness and a depth of flavour that could only come from 100-plus years of practice. Here, a third ingredient makes its way into the tagliatelle: fresh nettles. This herb grows wild in Bologna's countryside, and, along with other greens such as spinach or silverbeet, is often used in egg pasta to lighten it. But it's not just the pasta that's different at this trattoria, named for the Spanish private college opposite. Rather than ragu, the tagliatelle here is topped simply with slices of grilled prosciutto, another regional speciality. It's a little less traditional, but still one of the city's best tagliatelle dishes. Osteria Broccaindosso serves tagliatelle with a sauce made from porcini mushrooms when they're in season, but if you miss out, you'll find the regular ragu more than adequate. It's worth knowing, too, that Broccaindosso offers a pasta tasting option, for a minimum of two people, featuring three pastas from the menu. If you're there at the right time (usually late August to late October), you might get to try the tagliatelle al porcini and the tagliatelle al ragu in the one meal. Once upon a time, Drogheria della Rosa was a pharmacy (a drogheria is a grocery shop, a category that once encompassed pharmacies), and while it now serves food not pharmaceuticals, its importance to the city is as strong as ever. Here it's a set-course situation, with shared charcuterie and whatever else is found at the market that day (fresh mozzarella, maybe), followed by a pasta course, a meat course and finally, dessert. The tagliatelle al ragu here is more robust than some of the others – the sauce cooked a little further, the pasta cut a little wider – and is an outstanding example, although the pillowy potato-stuffed ravioli are a fine choice if you want to try something different. 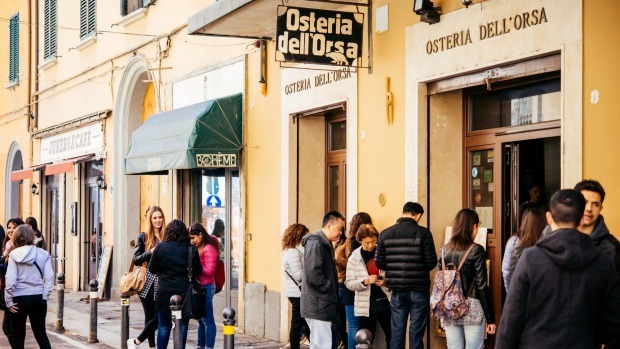 Although you're unlikely to pay more than €12 to €14 ($18 to $22) for tagliatelle in Bologna, if you're on a particularly tight budget, you want to go to Osteria dell'Orsa. You might be waiting a while for a table – this place is perpetually packed with students – but a bowl will set you back only about $9.50. It's possibly the best value meal in the city.